Ever wonder what animals do when no one’s looking? Luckily, we have trail cameras to answer that question for us. Popularized by hunters, trail cameras are triggered by motion to take photos and we can’t stop laughing at the hilarious animals caught on tape. Here are the top five animal selfies that will make you LOL. 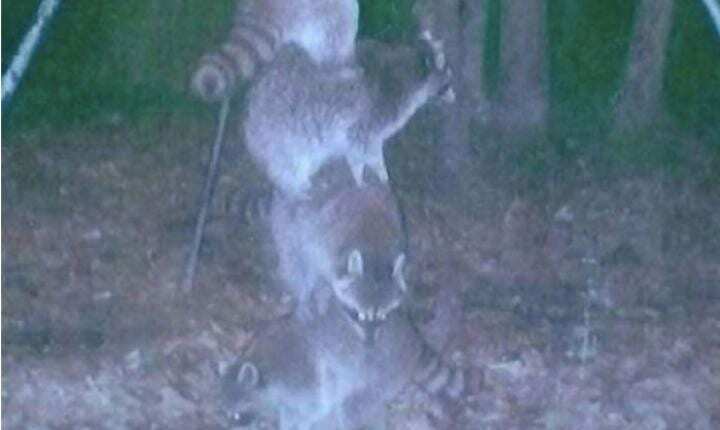 This funny picture shows a group of raccoons forming a totem pole to reach a deer feeder just out of grasp. It’s funny because it looks like they have better communication skills than humans. And just look at the poor guy at the bottom. Talk about taking one for the team! These guys look like they’re taking a selfie after having a few too many drinks. 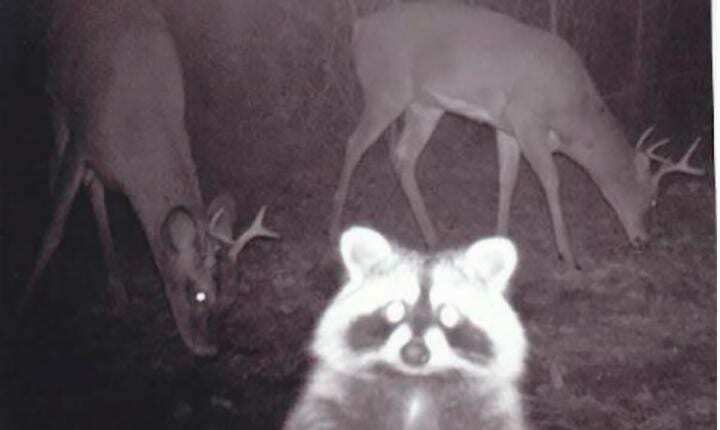 This hilarious picture features a clever raccoon in the middle of the photo with two buck grazing at its side. If these were the Kardashians, the raccoon would definitely be Kim and the bucks would be Kourtney and Khloe. Could you win a staring contest with this bunch? Probably not. 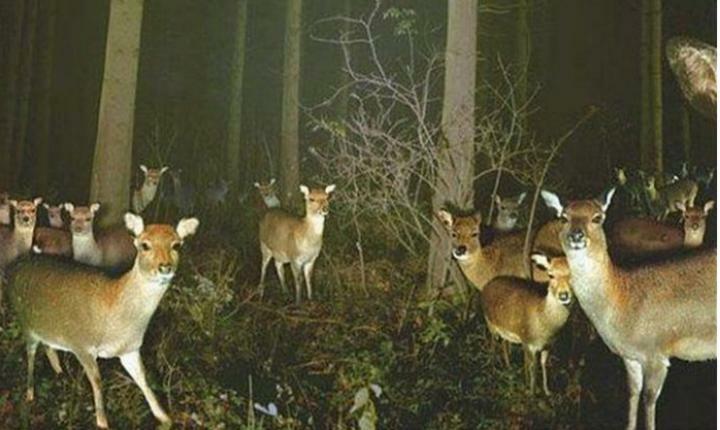 This photo shows at least 20 deer staring down the trail camera. And you can tell that they definitely know their angles. The fact that not one deer is caught mid-blink is pretty incredible. Wish we were all so lucky! 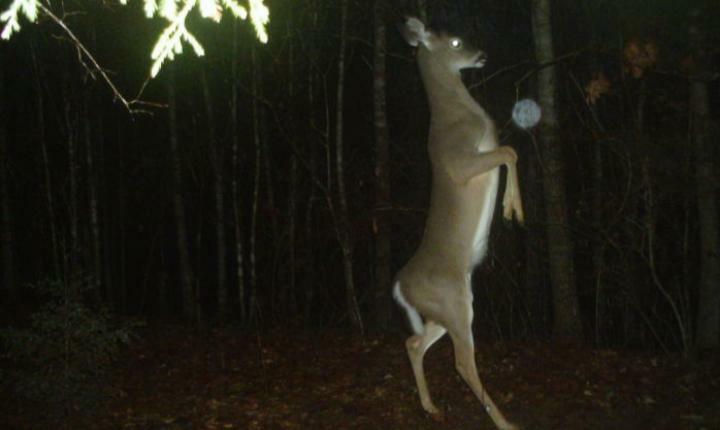 This deer just seems to be too elegant to be a wild animal. Seriously, this is the Bella Hadid of wildlife and she’s killing that forest runway. If there were any celebrities in the animal kingdom, this would be it. All this fancy doe needs is a crown. Yasss queen! “That deer having hands makes me really uncomfortable,” said Ry_the_knight on Reddit. Speaking of crowns, this buck clearly takes the cake with this headpiece. 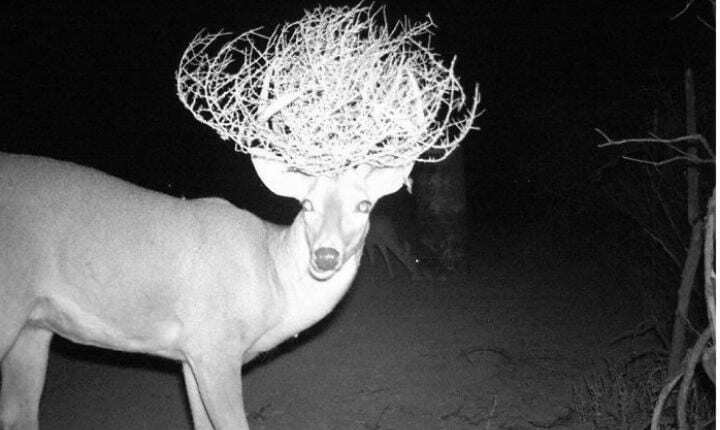 It looks like he has a tumbleweed delicately balanced on his antlers and we are living for it. This guy is owning it in the fashion department. And don’t forget that he’s serving face too. What an inspiration!